We at Nativity are honored that you, as parents and primary catechists of your children, are considering us to help with their catechetical formation. Our role is to assist and support you by helping your children grow in their understanding and application of the Catholic faith. We strive to offer an engaging experience that pushes your children deeper in their knowledge of and love for Christ and His Church. Our program would not be possible without the generosity of our volunteer catechists. If you are interested in being a teacher or an aide, please contact Diane Irby. We encourage high schoolers to deepen their faith through teaching and engaging younger Catholics as a part of our High School Teaching Team. If you are in high school and would like to be a R.E. teacher or a teacher’s aide, please contact Diane Irby. In addition to R.E. classes, Nativity offers Catechesis of the Good Shepherd (CGS) for children ages 3-9. CGS offers hands-on, experiential learning intended to develop values of contemplation and enjoyment of God. If you are interested in learning more, contact Diane Irby. 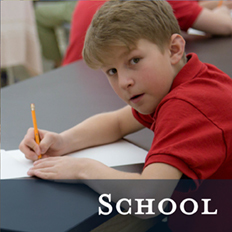 Religious Education classes are different than our sacrament preparation classes. 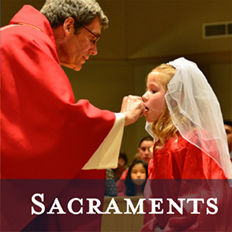 For information on our First Reconciliation, Confirmation, and First Eucharist classes, click here. We also encourage children and teens to explore the many other formation opportunities available to them by clicking on the links provided here. Flocknote is our parish’s primary form of communication. Sign up to receive the latest news from the parish and its ministries.